All it took was a simple peek over a fence at some adorable newborn Nigerians and our interest was sparked. We put in a reservation for 3 kids, 2 doelings and a wether buddy for them. When kidding season arrived the next year, what was 3 became 5 and we found ourselves with our own little starter herd. 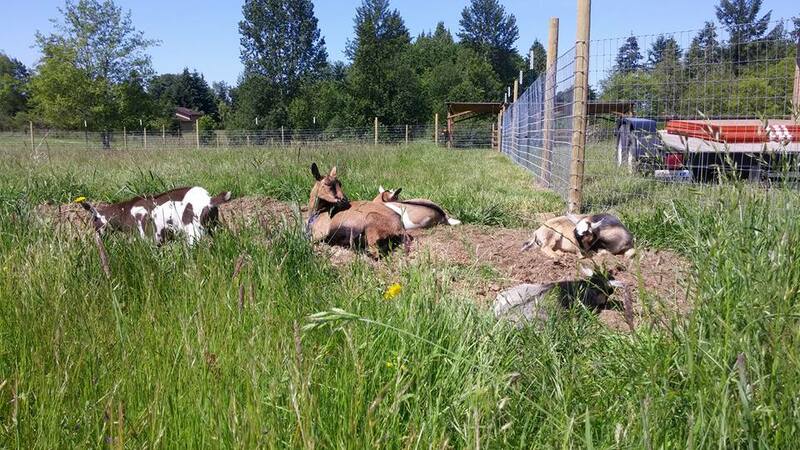 Since then, we have continued to educate ourselves not only about the breed but the caprine species as well and we are enjoying every moment of it. Our family farm is located in beautiful Ridgefield, WA. ​click on "contact" tab above. Copyright 2019, all images on this site are owned by ezpz farm unless otherwise noted and can not be used without permission. To obtain permission, please contact us. If you ask we will usually say yes. Using an image without permission is theft.